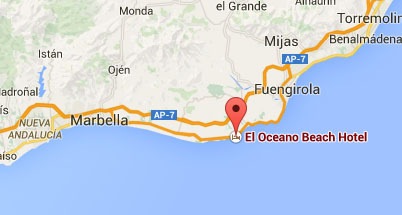 2017: El Oceano Beach Hotel, Restaurant and Beauty Salon, between Marbella and La Cala de Mijas, Costa del Sol. El Oceano Hotel & Restaurant will re-open its doors on on Thursday the 30th of March for another sensational season! Have you booked your place? Stay at El Oceano this season! Paradise really is closer than you think! Book your Pace in Paradise! As we approach the grand re-opening on Thursday the 30th of March, the restaurant is already filling for the first few weeks of the season! Most Sundays Lunches are already full and the VIP Sun Loungers at the Pool Bar are very popular! The hotel is busy but there is still some availability for April and May! If you feel like you deserve a little Easter break in the sunshine, we think we have just the thing! We’re calling it “A Little Vitamin Sea”! Shake off the dull winter months with a few days relaxing in the warm breezes at the Costa del Sol’s premier beach hotel! Read more about Awesome April at El Oceano! Or Book your 2017 Spring Holiday Now! Easter is a great time of year on the Costa del Sol and a great time for an early holiday or short break! Easter week at El Oceano can cost from as little as 154€ per room, per night, sleeping two people, very comfortably indeed! The weather is very pleasant – warm, but not too hot, the summer crowds haven’t yet arrived and the Costa del Sol bursts in to life with colourful blossom. Spring really is a nice time here and just the best time to spend a week on the lapping shores of the warm Mediterranean. Read more about Easter Week and El Oceano. Woo-hoo! It’s the party season! The high season on the Costa del Sol is a heady time of fun in the sun!! 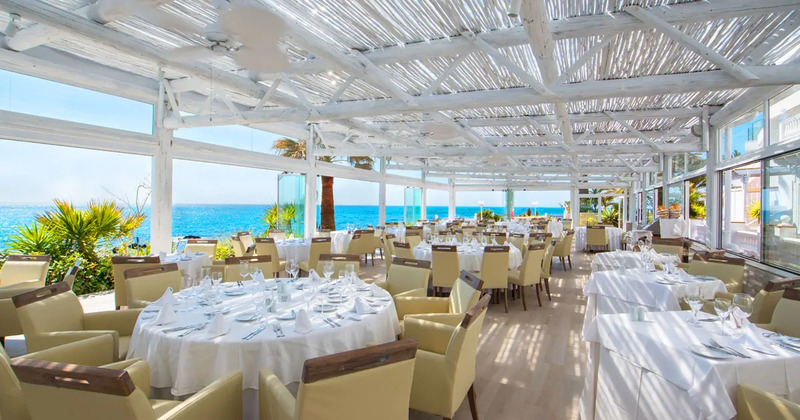 Every night at El Oceano is a night to remember, but there’s something about the Spanish summer heat, the atmosphere, the general feeling of ‘special’ that make El Oceano summer nights just perfect! Be one of the lucky ones to stay with us this summer – whether you choose self-catering in one of our beautiful Studio Apartments, a newly renovated Double Non-Sea View Room, or go for the ultimate in exclusive luxury in one of the four stunning Penthouse Suites, we know that your summer holiday in Spain will be just perfect! It’s not too surprising, but hotel is – and has been for some time now – taking bookings for Summer 2017 holidays. The summer at El Oceano – and the whole of the Costa del Sol – is a very busy time! Many of our returning guests book well in advance and (as of January 2017) the summer is already beginning to fill up. Wouldn’t it be great to have your 2017 beach holiday already sorted? No last-minute rushing to get in to the best hotel on the Costa del Sol? It’s never too early to secure your El Oceano Beach Hotel holiday and planning ahead and booking early will leave you feeling a little smug in the thought that your 2017 sunshine break is in the bag! Enjoy the Luxury of El Oceano at a Very Reasonable Price! During the more quiet times of the year, El Oceano reduces it’s accommodation rates – giving you a fantastic opportunity to experience Mijas Costa’s finest hotel at some fantastic rates. We won’t go in to details here, as all rooms have different discounted rates, but some rooms are available at 40% less than normal rates! 2016 was an incredible year for us, here at El Oceano! We have to thank all our regular guests and all those new guests we were lucky enough to meet throughout the year – without you, we would be nothing. Thanks you all and, of course, we fully expect to see you again during the 2017 season! 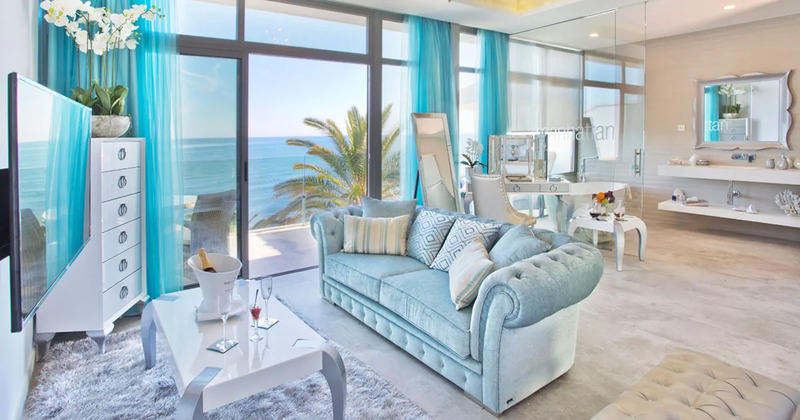 We made significant investment in the hotel, restaurant and beauty salon during our 2016 hibernation, creating the brand new Penthouse Apartments and the overall refurbishment of the restaurant and cocktail lounge areas. And, judging by all the TripAdvisor reviews, you appreciate the improvements just as much as we do! And there’s more to come! We can’t say too much right at the moment, but our ongoing programme of improvement is continuing throughout our 2017 hibernation, ready for the 2017 season. Stay tuned on Facebook to learn more about that, as soon as we can say. The Penthouses were a roaring success in 2016, not doubt about that! If you’re thinking about taking of of the four, exclusive Penthouses, we seriously recommend you book early. They really do ‘fly’, so to speak! We fully expect the restaurant to be busy when we open just before Easter. Easter Sunday is, naturally, already fully booked. The other notable occasion as we open is on Saturday the 8th of April – it’s The Grand National Steeplechase event! Always a sell-out, always a fantastic afternoon, this is the first of the two racing days at el Oceano, with Royal Ascot Ladies’ Day on the 22nd of June. For years, these two events have been the best excuse to get dressed up and watch ‘the sport of kings’! As I type, there is little confirmed for 2017, but as far as we know, all our regular dining entertainers will be with us over the year: Johnny Baker, Thomas John Henry, Martin Joseph & The Rat Pack Show, to name just a few!